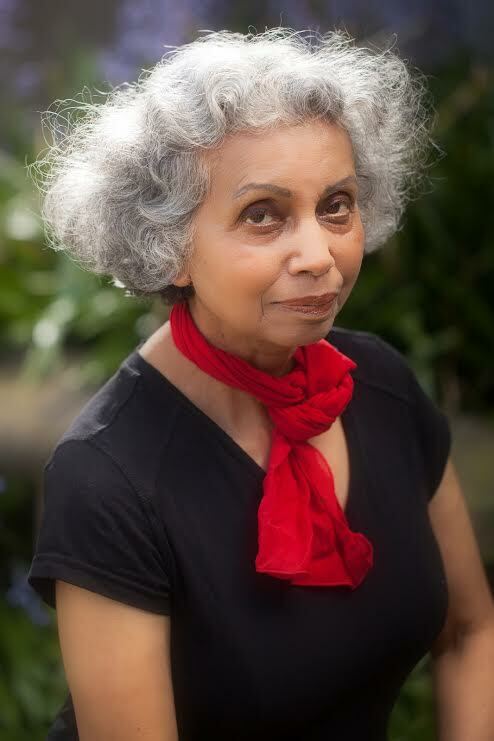 Atlanta, GA, Feb 29: Bharti Kirchner is the author of ten books- six critically acclaimed novels and four cookbooks, and hundreds of short pieces for magazines and newspapers. Her sixth novel, Goddess of Fire was published in the US in early 2016. 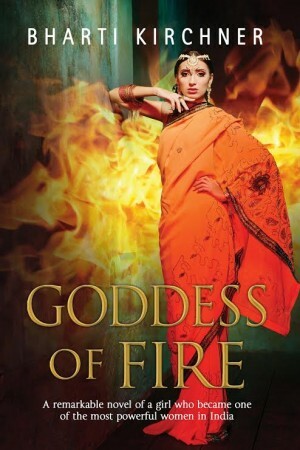 A historical novel set in 17th century India, Goddess of Fire weaves fiction into the historical accounts of Job Charnock, an administrator of the English East India Company, who is largely credited as the founder of Calcutta (now Kolkata), and Moorti, the young widow he saves from being burned on her husband’s funeral pyre. Told from the point of view of the intelligent Moorti, who is later christened Maria, Kirchner’s new novel is the story of a woman’s strength, ambition, love and her pursuit of lofty dreams. In an email interview with NRI Pulse, Seattle, WA based Kirchner talks about Goddess of Fire, its principal characters and the process of incorporating history into fiction. Goddess of Fire is available for download on Amazon. In your author’s note, you’ve said that the more you researched and learned about late 17th and early 18th century Calcutta, and how it was founded, the more you dreamed of writing about it. Why did you decide on writing the story from Maria’s point of view? History, especially colonial history, is often narrated from the male point of view and women’s contributions are not always acknowledged. Also, viewed from a woman’s perspective, the society and politics of that era look quite different, and I wanted to bring out those differences. Then too, as my writing progressed, I found Maria to be both assertive and gentle, a doer with many ideas; she needed to be heard. How much of Job Charnock’s character is based on historical facts, and how much speculation? While Job Charnock’s life, work and adventures are well documented, not much is known about the Hindu widow he took as his wife. Did this provide you a wide canvas for your imagination? Yes, it did. Being a novelist, I grabbed the opportunity. In this novel, a combination of fact and fiction, I have fictional characters relating to those who were imagined. I’ve reconstructed a by-gone era —the way of life, politics, social customs, and all the details necessary to make the time, place, and the situations real to the readers. Let’s talk about Moorti/Maria’s metamorphosis from a young, scared widow to a smart, ambitious, power to be reckoned with. Did her personality evolve organically as the story progressed? Is she based on somebody you know or read about? Do you see a little bit of Maria in you? I don’t outline. As I wrote, a sentence at a time, not knowing where I was going next, the story grew organically for me. And Maria came alive. Strong and vulnerable, she wasn’t flawless, by any means. She stole food, for example, to curb her hunger. At one point, she stole money from the grocery-shopping fund of the Company’s kitchen. She did what she had to do to survive. What kept her going was her desire to help her people. Moorti/Maria wasn’t based on any real person. There’s perhaps a little bit of me in all the characters in the book, Maria included. A Calcutta High Court ruling of 2003 declared that Job Charnock ought not to be regarded as the founder of Calcutta, and ordered government authorities to purge his name from all text books and official documents containing the history of the founding story of the city. Your thoughts on this? My story finishes before the actual founding of Calcutta. I only show a desire on the part of Maria to have a settlement, where Indians could live and work freely. Writing a historical novel of this scale would have involved a lot of research, re-writing and polishing. What were the challenges you faced? What was the time frame? I wrote this novel over a period of seven years. The decade of 1680s wasn’t as well documented as some of the later ones. Besides reading any written material I could get my hands on, I also went to museums and studied any relevant art and architecture. The Mughal rule was noted for the flourishing of the arts. Miniature paintings, for example. Commissioned by the royal court, these were bright, intricate watercolors that depicted the lifestyle of the nobles, as well as nature, costumes, and even animals. They told little stories. This is your sixth novel, but your first attempt at historical fiction. How is writing a historical novel different from writing other genres of fiction? There’s a saying among writers that historical novels take twice as long. You have to immerse yourself in that period, make it so much of a part of your consciousness that you feel you actually live in it. You have to keep in mind that people thought differently, lived differently, and their standards were different from ours. You mustn’t judge them by modern standards. There are gaps in history; some crucial information you need might be missing. You fill those gaps with your imagination. Also, with this novel, I thought about things in a broader perspective. Not only what was happening to the characters but also what was happening in the country and how that affected the ordinary folks. What genre is your next project? If you had to write another historical novel, what would it be about? I am now working on a mystery novel. Not only it’s a different genre, it’s set in modern times, making it imperative that I view things as they are now. Given the time and opportunity, I would like to write a novel about pre-independence India in the early 1900s, a vital, if chaotic period. As a novelist, I am drawn to a place where there is energy.